My final exam is over so i have a chance to continue describing my thoughts of soviet and postsoviet music. I often think about life in USSR... I was born when Yuri Andropov ruled country that means the end of Soviet Union was near. My concept of soviet life differed with great dissonance which concludes in unpleasant things I saw myself and in nice, some nostalgic stories about happy youth I heard from my parents and saw in films like "Ya shagayu po Moskve" (Walking the Streets of Moscow) or "Pokrovskie vorota" (Pokrov Gates). 60th for me - it's time of tender relations, deep love and thaw as well. 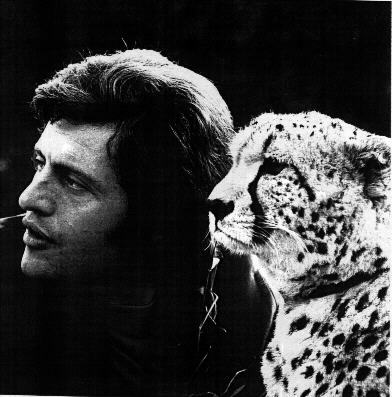 I imagine young people at the party in district far from Moscow center dancing and smiling and - I don't know why - all the girls I see in my mind clothed in striped roll-necks :) And Joe Dassin as God of Romantic Spring!